Beautiful, brilliant, opinionated, and very witty, 21-year-old Sarah Morgan began a diary in 1862 to chronicle the effects of war upon her family and friends. 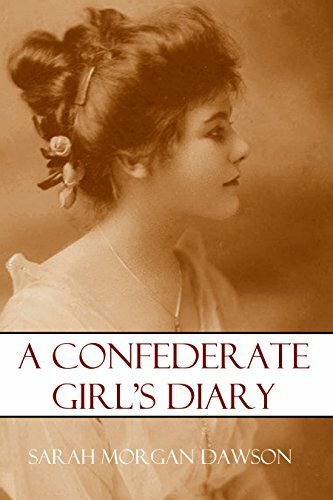 Throughout the diary, you see a young, self-aware woman both fascinated and appalled by what she saw during four years of the American Civil War in the south. Devoted to family, she worried about her brothers in the Confederate cause, her mother’s health, and the home they had to abandon. Yet she was also full of fun, running out with friends to watch the Union bombardment of Baton Rouge and describing it immediately in her diary. She saw battles between gunboats on the Mississippi and Union troops marching through her beloved home city. All the while, her lovely writing will delight and enthrall you. She had an ear for language and an eye for detail. Since its first publication in 1913, it has been considered one of the best Confederate memoirs available.